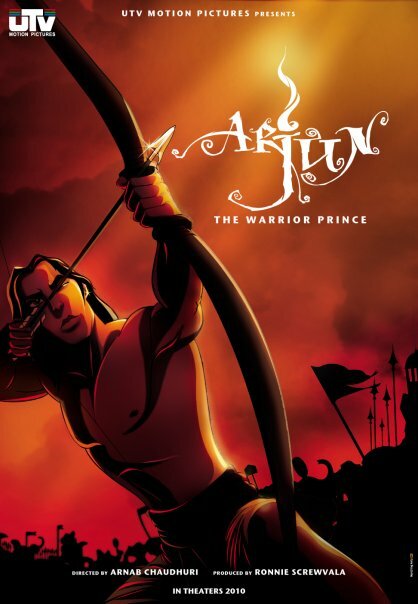 Note 1: Forget your prejudice against Indian animation movies and give this movie a chance to delight you. Note 2: Friends, Indian animation has arrived. These are the lines with which 'Arjun: The Warrior Prince' opens. To me, this is not so much the beginning of the movie as it is the beginning of a new era for animated movies conceived and produced in India. I have my problems with the movie, but I am willing to overlook them for the sheer joy and the hope that this movie gives me about the future of the indigenous animation industry. Before anything else, I want to applaud the voice acting. It does NOT sound like the gibberish we resort to when talking to 3-year-olds (or how the shows sound like on Cartoon Network today). It sounds like an adult conversation, and that is a big breakthrough. The kids deserve it. Also, it tells us that the people making these movies are taking this genre seriously, and are not making it just for kids. The animation style and quality is reminiscent of the 90s Disney movies (incidentally, Disney has co-produced this movie), and it is a good thing. The movie is no 'Wall-E', neither does it claim to be. But it is an important step in the right direction. That we are getting there, slow and steady. The animation succeeds in striking the audience with awe and grandeur, to an audience largely fed on Hollywood. And this, is a HUGE achievement. The character design is brilliant for most of the characters, especially Bheesma Pitamah, Dhritrashtra, Duryodhan, and Draupadi. Few could have been better though, like Shakuni mama. The story is NOT (the slightest bit) faithful to the Mahabharat, which is simultaneously the story's strength and weakness. How do you make an engaging 90-minute animation movie about the HUGE epic, the Mahabharat? Simple, you don't. You assess what you would be capable of doing, and you execute it well. They have re-imagined and re-interpreted Arjun's story, and told it well. The narrative-twist after intermission is brilliant, to say the least. The facts are not wrong because of bad research, but because the director wanted to tell a good story. Hence it doesn't matter if he isn't faithful to the source material, as long as the idea is conveyed. Why this makes me happy is because the film-makers were bold enough to re-imagine something like Mahabharat, knowing that they were being true to their art. And I applaud them for it. The music, especially during the war sequences, is grand, epic, and Indian. And I loved it. So much that I'd buy the OST if it were made available. This movie deserves to be seen, and I would say that it should every parent's responsibility to take their kids for this one. If this movie succeeds, I can be sure that we would be churning out top-notch animation from our country soon enough. I think this movie would give the producers the confidence to invest and ramp-up the budget for making such and better animated movies. One thing though, which didn't work for me - they shouldn't have added "The Warrior Prince" to the title. Note 1: I saw this article on NYTimes Blog which was trending on facebook today. These are my personal views. Note 2: Sir, your post was enriching. This is the other side. This is your new employee. I agree, life is good - except, it's not. But, it works both ways. I am not so surprised you mentioned this, considering that it might be needed in your field of work. I am wondering though, how much? Not that I deny that everyone does not have an impeccable English. But a lot do. Enough to communicate their ideas and thoughts clearly, consistently, and effectively. Especially when we Indians do have a basic foundation in English, and improving it is only a matter of spending some time working. Unless you tell me that we are stubborn enough to not work or improve at all. That would be a different story. Ah, and there are hundreds of blogs on the Internet like this dedicated to resume faux-pas. My primary concern though with you flagging this as issue number one is that, you really feel that Indians should have an impeccable command on a language when it is not their native tongue. Not that it doesn't help, it does definitely, in an era of global business. But having worked with global teams (Japan, Latin America, China, Western Europe), where their English skills aren't perfect either, I don't see how that is so detrimental to doing business. We are. And for people good at problem solving, there has to be an ecosystem which promotes them to think outside the box. Few companies do, but a lot don't. It is therefore hardly a surprise when I find a lot of my fellow graduates complaining that they don't find their jobs "challenging" enough, or them having enough "freedom", for them to continue in their role. This, after they graduated from one of the best universities in the country, and got recruited by companies among the biggest corporate-brands in the world. India: 9,871 test-takers - Pass percentage 40. United Kingdom: 7,373 test-takers - Pass percentage 42. We try. At least the first couple of times. And we don't stop until we feel it is futile. Of course not everyone has the determination and stubbornness to keep going on-and-on even if there is no feedback. There has to be an eco-system in place. I know the company I work for takes it seriously, and we see results. It would be interesting to know how many destructively-innovative ideas are taken seriously by the management across companies in India, or see the light of day, to know why people tend to be passive or non-questioning. That we definitely do. And the point is put in place by your 5th argument when you say that we hop jobs a lot. Why shouldn't we? We have a career to make. Retention is the company's responsibility, and if it is not able to, it is failure on the part of the company. That's how capitalism works. This is the only argument in the post which I found to be India-oriented. Ethics is a problem here, but not exclusive to the demographic dealt in the post. Not that this is an excuse for us young graduates, but change has to be across segments of people. I have duly noted that these are five extremely important attributes for a successful career, and I have tried to start with number 3. 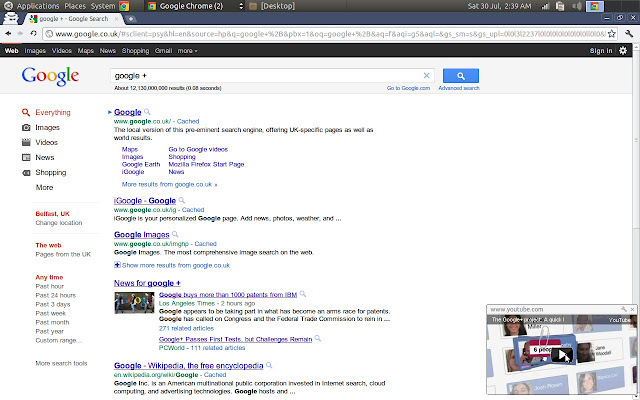 Note 1: I have professed my love for Chrome before. Here's some more. 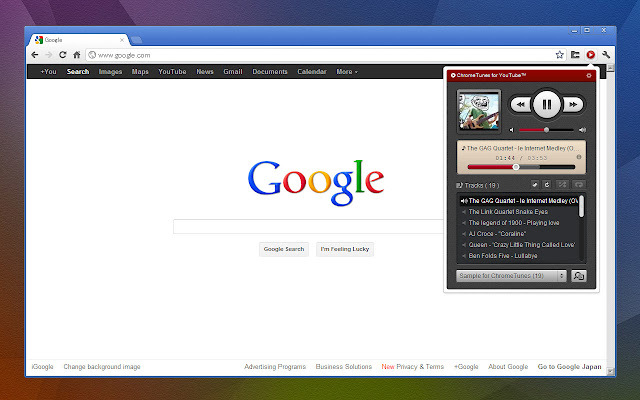 Make a music player out of youtube right inside your browser. So, you install this beautiful looking extension, make a playlist on Youtube, and add it to this extension. So now you have a music player in your browser, powered by Youtube. And yes, the player offers looping of playlist/songs. So that's one headache gone. And, you can search playlists on youtube from within this extension and play them. So on a fine sunny Sunday morning, all you need to do it search "old hindi songs", and there you have it - a fine sunny Sunday morning with music. I love this one! Imagine you are watching a tutorial, or a loooooong speech. You want to be able to magically switch tabs and multi-task, listen/refer to the video, or occasionally take a glimpse of the video. After installing this extension, you will see a "PIP" button below your video. Click, and enjoy multi-tasking while watching the video! If you want more flexibility than Picture-in-Picture, and you want the video to completely pop-out of the browser window, use this. It adds a button on the top right to pop-out the video. Of course, Picture-in-Picture fits better in a use-case where you want to primarily work on the browser while doing your work. It's so difficult to find a downloader for youtube which actually works! Well, this one does. It adds a button below the video to download the video, in mp3 or HD video. Ever got frustrated of waiting for 30 seconds to compulsorily watch an ad before you can watch the awesome video you just opened? This extension adds a button above the video to skip the ad and immediately start the video. Adds an option below the video to play the video on loop. Even only a part of the video. Bonus: I get annoyed ever so often because I have streamed a video to watch later, then I play it, switch to full-screen, and bam! All the effort gone down the ditch, because youtube starts streaming "HD" quality for the full-screen. Guess what youtube, I don't want HD! Fortunately, there is a way to turn it off. Access your youtube settings (while logged into youtube) here. Choose "I have a slow connection. Never play higher-quality video", and hit save. Phew.